It is by now generally accepted that the dog is a wolf modified through 15,000 or more years of sometimes intensive breeding to live in human society. In Darwin’s terms, the dog is a product of artificial selection, or “selection under domestication,” while the wild wolf is subject to the laws of natural selection. Much about the origin and early development of the dog — the first domesticated animal — remains a mystery, with scientists still puzzling over how, when, where and why wolves and people first got together. Was it the dog’s prowess in the hunt, its alertness as a camp guard, its companionship or a combination of those and other qualities that made it so valuable? Did the dog have religious significance as a guardian and guide for the dead? Did wolf become dog in the Middle East, East China, Europe or all of them? Was it 15,000 or 40,000 or 135,000 years ago that the transformation occurred? In recent years, scientists around the world have engaged in spirited debate over these questions, their research aided by sequencing of the dog genome in 2005. That has allowed researchers to examine the evolutionary history of the dog and probe the genetic relationships within and between breeds of dogs. Researchers are also able to use purebred dogs with their array of inherited diseases and extensive pedigrees to search for the genetic roots of diseases common to dogs and humans. Relying on the most comprehensive and largest survey to date of dogs and wolves, the most recent study by an international group of scientists places the origins of the dog in the Middle East, where cats and livestock were later domesticated and where agriculture began. Led by Bridgett M. vonHoldt and Robert K. Wayne of the University of California, Los Angeles, the international team analyzed 48,000 glitches or single letter changes in long stretches of DNA, called single-nucleotide polymorphisms, SNPs, and pronounced “snips,” from 912 dogs representing 85 breeds and 225 wolves from 11 different populations. They looked for matches in those haplotypes, as they are known, indicating genetic relationships. The survey showed that dogs were closest genetically to Middle Eastern wolves, but that for a short period of time after domestication, dogs apparently were bred to wolves from other areas, perhaps as they migrated with people into previously unoccupied lands where there were no dogs. Without fixing a date for the transformation of wolf to dog, the researchers observed that their findings were consistent with an archaeological record that locates early dogs in Goyet Cave in Belgium, 31,7000 years ago; western Russia, 15,000 years ago; Germany,14,000 years ago; and the Middle East,12,000 years ago. The researchers also identified genetic sequences shared by dogs within specific breeds that could be used to examine their development through the formation of modern breeds beginning in the late 18th century. To their surprise, breeds with similar phenotypes and functions grouped together, indicating a shared genetic heritage for herding dogs, mastiff-like dogs, sight hounds, scent hounds, small terriers, spaniels, toy dogs, retrievers, working dogs and a group containing ancient and spitz-like dogs. The survey by Dr. Wayne, Dr. vonHoldt and their collaborators was published just months after a 2009 study suggesting that dog domestication occurred in Eastern China, south of the Yangtze River, less than 16,000 years ago. These dogs were probably initially raised as food, reported Peter Savolainen of the Royal Institute of Technology in Stockholm. He argued that the dog resulted from a single domestication event and then quickly spread with people around the world. Dr. Savolainen and his team studied mitochondrial DNA, inherited only from the mother, while Dr. Wayne’s team surveyed the entire genome, a more comprehensive approach because it includes contributions from both parents. But paleontologists and geneticists recently identified and dated the dog remains from Belgium’s Goyet Cave to 31,700 years ago and from Eliseevichi in the Ukraine to around 15,000 years ago. While neither find is universally accepted, they once again have underscored the provisional nature of theories of dog domestication. A number of geneticists argue that genetic changes could have occurred in a population of wolves that effectively turned them into dogs before they looked the part. In other words, changes in phenotype, or appearance, followed some time after changes in genotype. Few relationships are so laden with mutual benefit as that between man and dog. No one knows the precise process by which certain wolves became dogs. Some experts claim that the dog evolved from wolves who lived by scavenging in and around human settlements, becoming tame in the process. Others argue for a more dynamic process involving wolves and humans. Despite their deep and fundamental disagreements, each group recognized that much of the credit for this unusual state of affairs may lie on the canine side of the equation. A study in the 2002 issue of Science Magazine probed the psychology of dogs, showing that although chimpanzees may have brain power of far greater wattage, there is one task at which dogs excel, that of picking up cues from human behavior. This interpretive skill was perhaps the ability for which they were selected. When two species live together for a long time, each usually influences the genetically conferred qualities of the other. People may have selected preferred abilities in the dog, but dogs too may have fostered their favorite qualities in people — not of course deliberately but simply by giving people who used dogs a better chance of surviving than people who did not. These days dog experts have noticed signs of a growing concern over bad behavior by dogs, despite all the gourmet biscuits, educational toys and $70 dog sweaters lavished on them. (Perhaps because of that treatment, others argue.) Enrollment in obedience classes has escalated, veterinarians have seen an increasing demand for help with behavioral problems, and the ‘‘Dog Whisperer,’’ the National Geographic Channel’s dog-behavior program, has become a hit. Figuring out the dog mind, it seems, has become a national obsession. Mr. Katz, who has written ‘‘Katz on Dogs: A Commonsense Guide to Training and Living With Dogs’’ (Villard, 2005) and ‘‘The New Work of Dogs’’ (Villard, 2003), which discusses the changing role of dogs from outdoor protectors and retrievers to indoor nurturers and soul mates, said there has been an explosion in the number of companion animals, almost a fivefold increase since the 1960s. Dogs are now expected to play the role of the best friend, confidant or child, who can be taken everywhere, including the mall and a friend’s house. By far the most popular dog in the country for the last 16 years has been the Labrador retriever, which had 137,867 American Kennel Club registrations in 2005, more than twice as many as the second most popular dog, the golden retriever, which had 48,509. 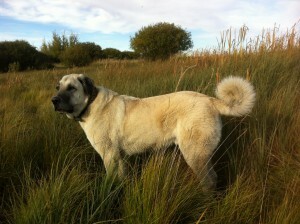 Large dogs like these need more exercise than many owners realize. And if they don’t get enough, they may chew the furniture or become aggressive. Andrea Arden, the owner of Andrea Arden Dog Training, a Manhattan firm that does house calls, said small dogs present a different kind of trouble, which she calls small-dog syndrome. Many owners (especially those who think of themselves as parents to dogs) treat their Yorkies and Chihuahuas like babies, she explained, which leads to spoiling. Owners often fail to discipline small dogs when they relieve themselves on the carpet, for example. The lack of discipline can lead to aggressive snapping, biting, barking and chewing, Ms. Arden said. Pet owners tend to respond to bad behavior in two ways, said Prof. Nicholas Dodman, the director of the Animal Behavior Clinic at Cummings: by getting rid of the dog or by taking extreme measures to improve the behavior immediately. Dr. Dodman cautioned owners to be patient, to maintain realistic expectations and to aim to control their dogs without shouting or violence. I was disappointed by the Darwinistic description of dog domestication, with no real scientific evidence to support it, of course. It is not logical to presume that inherited learned skills of an animal were caused by random lucky genetic changes that just happen to fit the needs of humans. 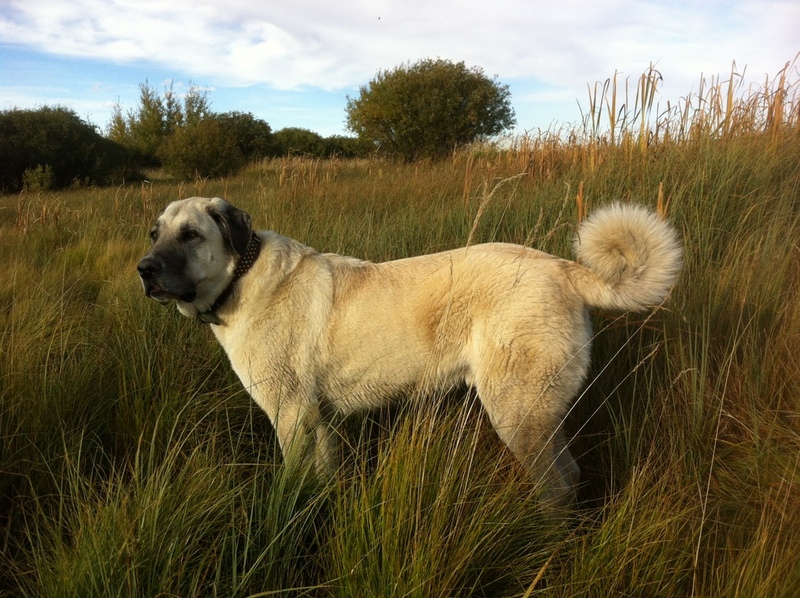 Why would genetics force a dog to do such unique traits as hunter dogs pointing, brushing soot over their droppings or rounding up sheep? Why is it that animals that are not trained to do these things never get the trait, if it truly is a lucky genetic mutation each time? Discovery Channel did a wolf domestication experiment, showing that it takes consistently two generations to domesticate a wolf. This would not be possible either if inherited training was really a Darwinistic random genetic change. Learning is inherited. That is how dogs became domesticated and trained. I think you have it backwards. Dogs are bred for innate traits they have naturally, not learned behaviors. By innate I mean things such as herding instincts or retrieving, or prey drive. When you select a dog with the desired traits and breed it with another dog that demonstrates the desired traits, the chances of producing offspring with the desired traits increase. Each successive generation then produces offspring with greater reliability in the desired traits. That’s what selective breeding is. Learned behavior, like obedience, is not instinctive. The desire to please a human, which is at the core of obedience, is an instinct unique to dogs.